THESE LABELS ARE ROUND! All labels are 6.5 cm in diameter and printed on A4 sheets, there are 12 labels per A4 sheet. Printed on with high quality inks. If you require these to be water resistant but on a dark surface then we recommend these. Make sure ALL your artwork and text are kept at least 3mm from the edge. WE DO NOT SPELL CHECK YOUR ARTWORK. MAKE SURE EVERYTHING IS CORRECT. THESE LABELS ARE ROUND! All labels are 6.5 cm in diameter and printed on A4 sheets, there are 12 labels per A4 sheet. Printed on with high quality inks. 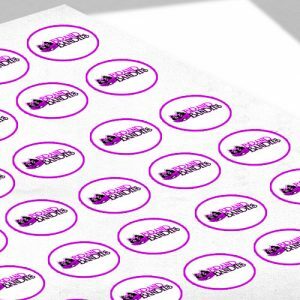 If you require these to be water resistant but on a dark surface then we recommend our white gloss labels. Make sure ALL your artwork and text are kept at least 3mm from the edge. WE DO NOT SPELL CHECK YOUR ARTWORK. MAKE SURE EVERYTHING IS CORRECT. 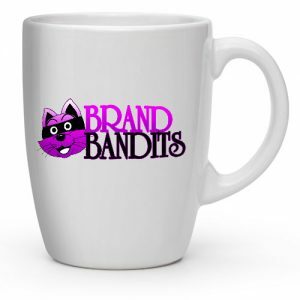 Custom mugs can be a great addition to your brands image. Whether you're in the office or giving mugs away it's a great way of looking professional and it's an item used all the time!